This is a good documentary about important British architect Richard Rogers. In it he talks of coming to the USA to study at Yale (starting around 9:50) which leads to his crediting the work of FLW as the main influence on him and fellow student Norman Foster. Starting around 11:10 is vintage video footage of Wright buildings they visited in the 50's. I enjoyed that. For one thing, it cleared up for me the relationship between Rogers, Foster, and Piano. And of course it's a great tutorial on the uses of urban space . . . This astounding building was news to me. 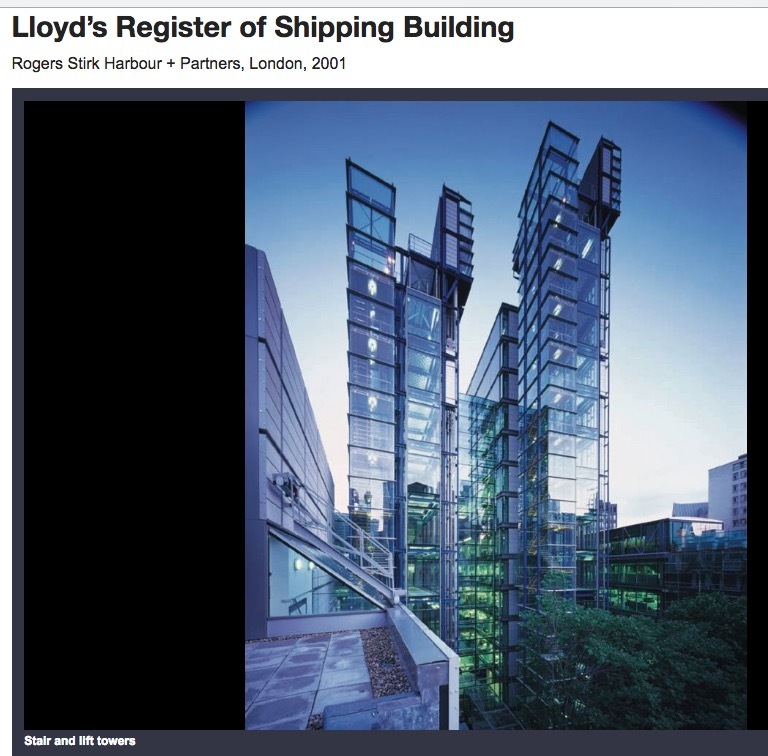 It was good, too, to get an extensive look at the Lloyd's building on Leadenhall St . . . Check out the plan of the 'Cheese Grater' in London - could come straight out of the early work. roofs and ceilings of several of the civic buildings and airports.